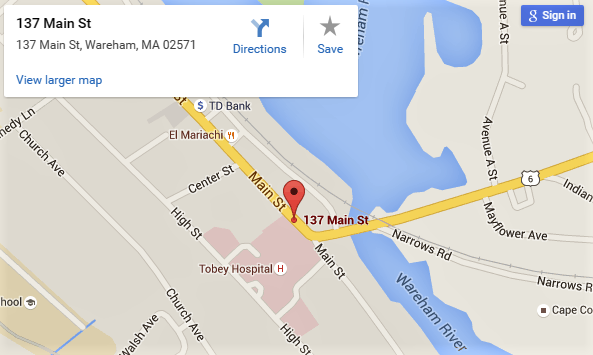 Our building is located at the end of Main Street, across from Tobey Hospital. There is a parking lot out back for your convenience. We have reserved time especially for you, and we greatly appreciate your prompt arrival. We do our best to remain on schedule and your consideration is greatly appreciated. Please give a 24hr notice. This respects the time of the service provider as well as our other guests.